Andrew Hogarth – Exhibitions & Image Listings 1981-2013. Native Lands – The West of the American Indian, October, 1994, Graphis Fine Art Gallery, Woollahra, Sydney, New South Wales, Australia. Native Lands: The West of the American Indian, ST Thomas’ Art & Craft Show, Willoughby, Sydney, New South Wales, Australia, August 1995. Native Lands: The West of the American Indian, Wyoming Pioneer Memorial Museum, Douglas, Wyoming, USA, August 1996. Native Lands: The West of the American Indian, Fall Arts Festival, Jackson Hole Museum, Wyoming, USA, September 1996. Battlefields, Monuments & Markers: The American West, Gallery of the American Legends, Custer, South Dakota,USA, July-August-Sept 1996. Battlefields, Monuments & Markers: The American West, The Rockpile Museum, Gillette, Wyoming, USA, October-November 1996. Powwow: Native American Celebration, Graphis Fine Art Gallery, Woollahra, Sydney, New South Wales, Australia, April – May 1997. Native Lands: The West of the American Indian, The Jim Gatchell Memorial Museum, Buffalo, Wyoming, USA, June-July 1997. Battlefields, Monuments & Markers: The American West, Museum of the Mountain Man, Pinedale, Wyoming, USA, May-July 1997. Strong Hearts: Images of Native America, DQ Art on Oxford, Darlinghurst, Sydney, New South Wales, Australia, April-May-June 1998. Powwow: Native American Celebration, National Civil Rights Museum, Memphis, Tennessee, USA, 21st October 2000 – 30th November 2000. Powwow: Native American Celebration, City of Tempe Cultural Services, Tempe, Arizona, USA, 15th December 2000 – 19th January 2000. Powwow: Native American Celebration, Texarkana Regional Arts Museum, Texarkana, Texas, USA, 15th March 2001 – 30th April 2001. Powwow: Native American Celebration, Museum of the Mountain Man, Pinedale, Wyoming, USA, 15th May 2001 – 20th June 2001. Powwow: Native American Celebration, Jim Gatchell Memorial Museum, Buffalo, Wyoming, USA, 3rd July 2001 – 16th August 2001. Powwow: Native American Celebration, Shafer Art Gallery, Big Bend, Kansas, USA, 1st September 2001 – 5th October 2001. Powwow: Native American Celebration, Memorial Union Gallery, Fargo, North Dakota, USA, 21st October 2001 – 30th November 2001. Powwow: Native American Celebration, Clark County Heritage Museum, Las Vegas, Nevada, USA, 3rd February 2002 – 30th April 2002. Powwow: Native American Celebration, McLean County Museum, Bloomington, Illinios, USA, 15th May 2002 – 20th June 2002. Powwow: Native American Celebration, Plains Indian & Pioneers Museum, Woodward, Oklahoma, USA, 5th July 2002 – 16th August 2002. Powwow: Native American Celebration, Lakewood Cultural Center, Denver, Colorado, USA, 1st September 2002 – 5th October 2002. Powwow: Native American Celebration, Museum at Warm Springs, Warm Springs, Oregon, USA, 21st October 2002 – 30th November 2002. Powwow: Native American Celebration, Sam Noble Oklahoma Museum of Natural History, Norman,USA, 15th December 2002 – 10th March 2003. Powwow: Native American Celebration, Sam Houston Memorial Museum, Huntsville, Texas, USA, 25th March 2003 – 30th April 2003. Powwow: Native American Celebration, Historic Arkansas Museum, Little Rock, Arkansas, USA, 15th May 2003 – 16th August 2003. Powwow: Native American Celebration, Art League of Manatee County, Bradenton, USA, 1st September 2003 – 5th October 2003. Great Plains Retrospective 1981-2006: Images of Native America, St. Vincent’s Hospital, Sydney, NSW, Australia, 18th July- 18th August 2008. Native America: Dinetah to the Greasy Grass 2008-2013, St. Vincent’s Hospital, Sydney, NSW, Australia, 11th January-13th February 2014. Del Arroyo, Chaco Canyon, New Mexico, 1996. Chetro Ketl, Chaco Canyon, New Mexico, 1992. Zuni Baking Ovens, New Mexico, 1992. Bandelier National Monument, New Mexico, 1992. Hovenweep National Monument, Utah, 1989. Pueblo Elder, Acoma, New Mexico, 1992. Sandy Chino, Pueblo, Acoma, New Mexico, 1992. Kai Lamar, Zuni, Zuni Pueblo, New Mexico, 1992. Mesa Verde National Monument, Colorado, 1987. Pecos National Monument, New Mexico, 1990. Kiva, Pecos National Monument, New Mexico, 1990. Tiwa Elder, Taos Pueblo, New Mexico, 1987. San Geronimo Chapel, Taos Pueblo, New Mexico, 1987. Taos Pueblo, New Mexico, 1987. Chief Whitecloud, Pueblo, Colorado Springs, Colorado, 1987. Kylie & Bert Attine 1, Navajo, Monument Valley, Utah, 1987. Kylie & Bert Attine 2, Navajo, Monument Valley, Utah, 1987. Kylie & Bert Attine 3, Navajo, Monument Valley, Utah, 1987. Brush Arbour, Monument Valley, Utah, 1989. Santa Fe Adobe, Santa Fe, New Mexico, 1992. Ghost of Paha Sapa, Black Hills, South Dakota, 1995. Sitting Bull’s Grave, Mobridge, South Dakota, 1995. Shoshone Elder, Jackson, Wyoming, 1985. Washita Bronze by Earnest Berke, Mills City, Oklahoma, 1987. Myrcine Deer, Cheyenne-Ponca, Colony, Oklahoma, 1992. George Sitting Eagle, Arapaho, Colony, Oklahoma, 1992. Paha Ska, Oglala-Lakota, Keystone, Black Hills, S. D. 1987. Crow Fair, Crow Agency, Montana, 1999. Jondella Chavis, Crow, Crow Fair, Montana, 1999. Emerson Chase, Arikira, Little Bighorn, Montana, 1995. Lodge Poles, Fort Union, North Dakota, 1987. Merle Jean Harris, Crow, Crow Agency, Montana, 1999. Last Stand Hill, Little Bighorn Valley, Montana, 1984. Storm Clouds, Little Bighorn Valley, Montana, 1984. James Hill, Crow, Hardin, Montana, 1999. Lakota Gloves, Circa 1875-1890, Fort Bridger, Wyoming, 1984. Fort Phil Kearny, Wyoming, 1990. Tony Richards, Oglala-Lakota, Custer, South Dakota, 1999. Buffalo Skulls, Little Bighorn Valley, Montana, 1999. Black Hills Sunrise, South Dakota, 1984. Jack & Leo Little, Oglala-Brule-Lakota, Custer, S. D. 1984. Jack Little, Oglala-Brule-Lakota, Custer, South Dakota, 1984. Wild Horse Herd, Wyoming, 1984. Crow Fair Parade, Crow Agency, Montana, 1995. Danny Reyes, Cheyenne, Colony, Oklahoma, 1992. Black Hills Powwow, South Dakota, 1996. Wounded Knee, Pine Ridge, South Dakota, 1984. Frank Fools Crow, Oglala-Lakota, Cedar Lodge, South Dakota, 1989. Whiteman’s Beast, Little Bighorn, Montana, 1995. Stephanie Buckley, Hunkpapa-Lakota, South Dakota, 1999. Crow Fair, Crow Agency, Montana, 1996. Crow Fair Bustle (1), Crow Agency, Montana, 1999. Crow Fair (2), Crow Agency, Montana, 1995. Quanah Kaline, Southern Cheyenne, Colony, Oklahoma, 1992. Tim Yellowtail, Crow, Cody, Wyoming, 1996. Daniel Long Soldier, Oglala-Lakota, Little Bighorn, Montana, 1999. Timothy Eashappies, Assiniboine-Lakota, Crow Fair, Montana, 1996. Crow Fair Tepee, Crow Agency, Montana, 1995. 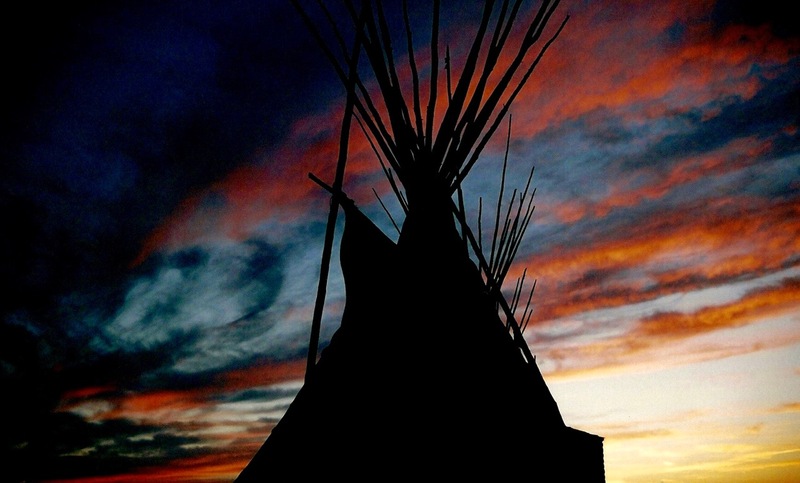 Tepee Sunset, Gallup, New Mexico, 1984. Roy Pete, Navajo, Crow Fair, Montana. 1995. Roy Pete, Navajo, Cody, Wyoming, 1996. Delwin Fiddler Jr, Minniconjou-Lakota, Crow Fair, Montana, 1996. Danny Reyes, Southern Cheyenne, Colony, Oklahoma, 1996. Quincy Jackson, Nez Perce, Crow Fair, Montana, 1995. Darrell Two-Teeth, Ojibway-Cree, Crow Fair, Montana, 1996. Fabian Fontenelle, Zuni, Cody, Wyoming, 1996. Mary Cummins Bear-Cloud, Crow, Crow Fair, Montana, 1999. Khena Bullshields, Blood-Blackfeet, Crow Fair, Montana, 1996. John Sipes, Southern Cheyenne, Norman, Oklahoma, 1996. Brice Little-Thunder, Minniconjou-Lakota, Black Hills, S. D. 1996. Irving Milk, Oglala-Lakota, Bear Creek, South Dakota, 1996. Lester Dubray, Oglala-Lakota, Bear Creek, South Dakota, 1996. Jay Eagle, Hunkpapa-Lakota, Crow Fair, Montana, 1996. Bill Hayes, Shoshone, Jackson, Wyoming, 1985. Heywood Big Day, Crow, Pryor, Montana, 1999. Adam Nordwall, Chippewa-Navajo-Shoshone, Black Hills, S.D. 1996. Darvin Curley, Navajo, Rapid City, South Dakota, 1996. Raymond Cree, Yakima-Cree-Umitilla, Crow Fair, Montana, 1995. Virginia Pease, Crow, Crow Agency, Montana, 1995. Jo Yassie, Navajo, Black Hills, South Dakota, 1996. Jordan Guinon, Northern Arapaho, Cody, Wyoming, 1996. Cedric Walks Over-Ice, Crow, Crow Fair, Montana, 1995. Nathan Blindman, Minniconjou-Oglala-Lakota, Custer, S.D. 1996. Darrell Lone Bear, Northern Arapaho, Cody, Wyoming, 1996. Sallie Black Eyes, Oglala-Lakota, Bear Creek, South Dakota, 1996. Lawrance Archie, Crow, Crow Fair, Montana, 1995. Little Bighorn River, Crow Agency, Montana, 1990. Harvey Spoonhunter, Northern Arapaho, Cody, Wyoming, 1996. Tony Rider, Gros Ventre, Crow Fair, Montana, 1996. James Dewey, Northern Arapaho, Cody, Wyoming, 1996. Kenno Gallegos, Comanche, Crow Fair, Montana, 1996. John Tail, Oglala-Lakota, Rapid City, South Dakota, 1996. Eugene Ridgely, Northern Arapaho, Cody, Wyoming, 1996. Harvey Spoonhunter, Northern Arapaho, Black Hills, South Dakota, 1996. Jared Brown, Navajo, Gallup Inter-Tribal Indian Ceremonial Powwow, New Mexico, 2013. Calvert Dixon, Navajo, Gallup Inter-Tribal Indian Ceremonial Powwow, New Mexico, 2013. Alorha Baga, Brule-Lakota-Southern Ute-Apache, Rosebud Powwow, South Dakota, 2011. White House Ruin, Canyon de Chelly, Arizona, 2013. Sierra Pete, Navajo, Plains Indian Museum Powwow, Cody, Wyoming, 2011. Alvin Yellow Owl, Blackfeet, Crow Fair, Crow Agency, Montana, 2009. Grace Ponyah, Oglala-Lakota-Navajo-Hopi, Badlands National Park, South Dakota, 2011. John Ford Point, Monument Valley, Utah, 2013. Adrian Lee Jackson, Navajo, John Ford Point, Monument Valley, Utah, 2013. Myron Ascencio, Pueblo, Acoma, New Mexico, 2013. Pueblo Bonito, Chaco Canyon, New Mexico, 2013. Jonathan Maxwell Beartusk, Cheyenne, Indian Memorial, Little Bighorn, Montana, 2011. Three Mittens, Monument Valley, Utah, 2013. Crazy Horse Memorial, Black Hills, South Dakota, 2008. Spider Rock, Canyon de Chelly, Chinle, Arizona, 2013. Buffalo, Yellowstone National Park, Wyoming, 2009. Indian Memorial, Little Bighorn Battlefield, Crow Agency, Montana, 2009. Bustle, Plains Indian Museum Powwow, Cody, Wyoming, 2011. Sun Sun Lehi, Crow, Crow Fair, Crow Agency, Montana, 2009. Bustle, Plains Indian Museum Powwow, Cody, Wyoming, 2008. Percy War Cloud Edwards, Colville Confederated Tribes, Plains Indian Museum, Wyoming, 2011. Gilbert Emery Brown, Meskwaki, Rosebud Casino Powwow, South Dakota, 2011. Tepee, Plains Indian Museum Powwow, Cody, Wyoming, 2008. David Cleveland, Ho-Chunk, Crow Fair, Crow Agency, Montana, 2010. North Window, Monument Valley, Utah, 2013. Totem Pole, Monument Valley, Utah, 2013. San Francisco de Assissi, Ranchos de Taos Plaza, Taos, New Mexico, 2013. Sunset and Shadows, Monument Valley, Utah, 2013. Pecos National Monument, New Mexico, 2013. Taos Pueblo, Taos, New Mexico, 2013. Acoma Sky City, Acoma, New Mexico, 2013. Crow Fair Tepee, Crow Agency, Montana, 2009. Chaco Canyon, New Mexico, 2013. Enlistedmen’s Monument, Little Bighorn Battlefield, Crow Agency, Montana, 2009. Norman Gardipy Jr, Plains Cree, Crow Fair, Crow Agency, Montana, 2009. Hahots Shebala, Nez Perce, Crow Fair, Crow Agency, Montana, 2009. Crow Reservation Interstate Welcome Sign, Hardin, Montana, 2010. The Mystic Warrior Monument by Dale Old Horn, Crow Agency, Montana, 2009. Malcolm Murphy, Navajo, Gallup Inter-Tribal Indian Ceremonial Powwow, New Mexico, 2013. Buffalo Skull, Custer Battlefield Trading Post, Crow Agency, Montana, 2008. Irene Jane, Pueblo, Acoma Pueblo, New Mexico, 2013. Sky City, Acoma Pueblo, New Mexico, 2013. Dan Nanamkin, Colville-Nez Perce, Crow Fair, Crow Agency, Montana, 2009. Tylis Bad Bear, Crow, Crow Fair, Crow Agency, Montana, 2009. Winter Storms, Yellowstone National Park, Wyoming, 2008. Snow Country, Yellowstone National Park, Wyoming, 2008. Robert Looks-Twice, Oglala-Lakota, Rosebud Casino Powwow, South Dakota, 2011. Enlistedmen’s Monument Sunset, Little Bighorn Battlefield, Crow Agency, Montana, 2010. 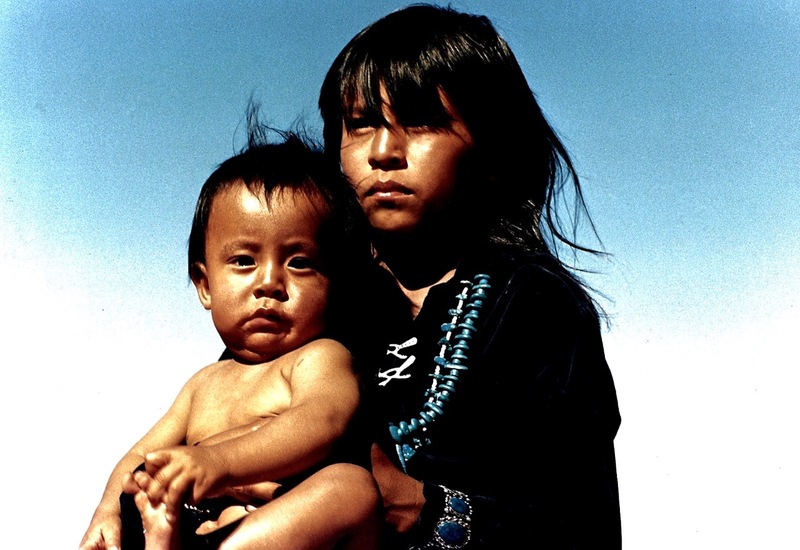 Bill Malone’s Niece, Navajo, Gallup, New Mexico, 2013. Johnathan R. Mescale, Navajo, Gallup, New Mexico, 2013. Drum Beats, Rosebud Casino Powwow, South Dakota, USA, 2011. Proud Warrior, Rosebud Casino Powwow, South Dakota, 2011. Chetro Ketl Ruin, Chaco Canyon, New Mexico, 2013. Summit Springs Battlefield, Colorado, 2010. Dull Knife & Little Wolf’s Graves, Lame Deer Cemetery, Montana, 2008. Grace Ponyah, Oglala-Lakota-Navajo-Hopi, Rosebud Casino Powwow, South Dakota, 2011. Evan Ponyah, Oglala-Lakota-Navajo-Hopi, Rosebud Casino Powwow, South Dakota, 2011. Ear of the Wind, Monument Valley, Utah, 2013. Phillip Paul, Flathead, Hardin, Montana, 2010. Herman Louie, Navajo, Gallup, New Mexico, 2013. Deer Medicine Rocks, Montana, 2008. Buffalo Jump, Rosebud Battlefield, Montana, 2008. Totem Pole Sunrise, Monument Valley, Utah, 2013. Mildred Blackgoat, Navajo, Gallup Inter-Tribal Indian Ceremonial Parade, New Mexico, 2013. Alejandro Mauelito, Navajo, Gallup Inter-Tribal Indian Ceremonial Parade, New Mexico, 2013. Orlando Dugi, Navajo, Plains Indian Museum Powwow, Cody, Wyoming, 2008. Spirit Warriors, Indian Memorial, Little Bighorn Battlefield, Crow Agency, Montana, 2009. Black White Man’s Lakota Warrior Marker, Little Bighorn Battlefield, Montana, 2009. Mesa Verde National Monument, Colorado, 2013. Nez Perce Village Site, Big Hole Battlefield, Montana, 2008. Prayer Cloth, Nez Perce Village Site, Big Hole Battlefield, Montana, 2008. Harrison Paul, Navajo, Gallup Inter-Tribal Indian Ceremonial Powwow, New Mexico, 2013. Alorha Baga’s Regalia, Rosebud Casino Powwow, South Dakota, 2011. Kelly Ponyah’s Regalia, Rosebud Casino Powwow, South Dakota, 2011. San Geronimo Chapel, Taos Pueblo, Taos, New Mexico, 2013. Camille Ponyah, Oglala-Lakota-Navajo-Hopi, Lame Deer, Montana, 2011. Kelly Ponyah, Oglala-Lakota-Navajo-Hopi, Lame Deer, Montana, 2011. Little Bighorn Battlefield Anniversary, Crow Agency, Montana, 2008. Kallie Soldier Wolf, Northern Cheyenne, Crow Fair, Crow Agency, Montana, 2010. Grace Ponyah, Oglala-Lakota-Navajo-Hopi, Crow Fair, Crow Agency, Montana, 2010. Old Bedlam Officer’s Quarters, Fort Laramie, Wyoming, 2008. Officers Quarters, Fort Laramie, Wyoming, 2008. Priscilla Sagg, Navajo, Twin Rocks, Bluff, Utah, 2013. Twin Rocks, Bluff, Utah, 2013. Real Bird Little Bighorn Battle Re-enactment, Medicine Tail Coulee, Montana, 2011. Nez Perce Canyon Creek Battlefield, Montana, 2008. Alorha Baga, Brule-Lakota-Southern Ute-Apache, Rosebud Casino Powwow, South Dakota, 2011. Pictographs, Monument Valley, Utah, 2013. Richard Shakespeare, Arapaho, Plains Indian Museum Powwow, Cody, Wyoming, 2008. Tia Rose Hoops, Assiniboine-Lakota, Plains Indian Museum Powwow, Cody, Wyoming, 2008. Raymond Stonecalf’s Gravesite, Indian Cemetery, Clinton, Oklahoma, 2010. Rudolph Lefthand’s Gravesite, Indian Cemetery, Clinton, Oklahoma, 2010. Sherman L. Goose’s Gravesite, Indian Cemetery, Clinton, Oklahoma, 2010. Buffalo, Yellowstone National Park, Wyoming, 2008. Joe Medicine Crow, Crow, Crow Fair, Crow Agency, Montana, 2010. Pius Real Bird, Crow, Custer Battlefield Trading Post, Crow Agency, Montana, 2011. Big Horn Mountains Sunset, Wyoming, 2011. Seventh Cavalry Markers, Calhoun Hill, Little Bighorn Battlefield, Crow Agency, Montana, 2010. Cheyenne Markers, Last Stand Hill, Little Bighorn Battlefield, Crow Agency, Montana, 2010. Fort Union National Monument, New Mexico, 2013. Christine Williams, Crow, Crow Fair, Crow Agency, Montana, 2009. Pearl Sammarifa’s Regalia, Plains Indian Museum Powwow, Powwow, Cody, Wyoming, 2008. Tepees, Custer Battlefield Trading Post, Crow Agency, Montana, 2011. Logan Reeder, Kiowa, Plains Indian Museum Powwow, Cody, Wyoming, 2008. Fetterman Battlefield Monument, Wyoming, 2008. Fort Phil Kearny Stockade, Wyoming, 2008. Tepee, Custer Battlefield Trading Post, Crow Agency, Montana, 2011. Crow Fair Bustle, Crow Agency, Montana, 2010. Cheyenne Dog Soldier’s Cherry Creek Campsite, St. Francis, Kansas, 2010. Buffalo Hunters Ridge, Sappa Creek, Kansas, 2010. Dance Time, Rosebud Casino Powwow, South Dakota, 2011. Grand Entry, Rosebud Casino Powwow, South Dakota, 2011. Melvin Smith, Navajo, Crow Fair, Crow Agency, Montana, 2009. Old Trail Town, Cody, Wyoming, 2011. Grattan Massacre Site Monument, Wyoming, 2008. Vikki Bob, Navajo, Crow Fair, Crow Agency, Montana, 2010. Taos Doorway, Taos, New Mexico, 2013. Bear Butte Mountain, South Dakota, 2011. Prayer Cloth, Bear Butte Mountain, South Dakota, 2011. Jonathan Maxwell Beartusk, Cheyenne, Custer Battlefield Trading Post, Montana, 2011. White House Ruin, Canyon de Chelly, Chinle, Arizona, 2013. Tepee Sunset, Custer Battlefield Trading Post, Crow Agency, Montana, 2010. Jonathan Maxwell, Beartusk, Cheyenne-Crow, Crow Agency, Montana, 2008. Bill Worrell Gallery, Santa Fe, New Mexico, 2013. Rosebud Casino Powwow, South Dakota, 2011. Ben Jim, Navajo, Gallup Inter-Tribal Indian Ceremonial Powwow, New Mexico, 2013. Justine Cortes, Mexican-Navajo, Plains Indian Museum Powwow, Cody, Wyoming, 2008. Reno-Benteen Seige Area, Little Bighorn Battlefield, Crow Agency, Montana, 2008. Little Whirlwind Cheyenne Marker, Little Bighorn Battlefield, Crow Agency, Montana, 2008. Gallup Inter-Tribal Ceremonial Powwow, Red Rock State Park, New Mexico, 2013. Prairie Rose Jack, Shoshawnna Jack and Ladybird Jack, Gallup Inter-Tribal, New Mexico, 2013. Lanedon Bob, Navajo, Crow Fair, Crow Agency, Montana, 2010. Twin Rocks Country, Bluff, Utah, 2013. Phillip Paul, Flathead, Crow Fair, Crow Agency, Montana, 2010. Walter Old Elk, Crow, Plains Indian Museum Powwow, Cody, Wyoming, 2008. Lightning Strike, Deer Medicine Rocks, Montana, 2011. Pictographs, Deer Medicine Rocks, Montana, 2011. Grace Ponyah, Oglala-Lakota-Navajo-Hopi, Plains Indian Museum Powwow, Wyoming, 2011. Grand Entry, Plains Indian Museum Powwow, Cody, Wyoming, 2011. Connor Battlefield, Ranchester, Wyoming, 2011. Connor Battlefield Descriptive Marker, Ranchester, Wyoming, 2011. White House Ruin, Canyon de Chelly, Chile, Arizona, 2013. Tim Manygoats, Navajo, Crow Fair, Crow Agency, Montana, 2010. Grand Entry, Crow Fair, Crow Agency, Montana, 2009. Chris Eagle Hawk, Navajo, Gallup Inter-Tribal Indian Ceremonial Powwow, New Mexico, 2013. Edward Curtis Peak, Canyon de Chelly, Chinle, Arizona, 2013. Canyon de Chelly, Chinle, Arizona, 2013. Wounded Knee Massacre Site, Pine Ridge, South Dakota, 2011. Chetro Ket Ruin, Chaco Canyon, New Mexico, 2013. Spirit Warriors, Indian Memorial, Little Bighorn Battlefield, Crow Agency, Montana, 2011. Last Stand Hill, Little Bighorn Battlefield, Crow Agency, Montana, 2011. Storm Clouds, Southern Great Plains, Colorado, 2013. Sand Creek Massacre Site, Colorado, 2013. Joe Medicine Crow, Plains Indian Museum Powwow, Cody, Wyoming, 2008. Morgan King, Assiniboine-Cheyenne, Crow Fair, Crow Agency, Montana, 2009. Carol Melting Tallow, Blood-Blackfoot, Gallup Inter-Tribal Indian Ceremonial, New Mexico, 2013. Grand Entry, Gallup Inter-Tribal Indian Ceremonial Powwow, New Mexico, 2013. Plains Indian Museum Powwow, Cody, Wyoming, 2011. Buffalo, Custer State Park, Black Hills, South Dakota, 2011. Cheyenne Victory Riders, Little Bighorn Battlefield Anniversary, Crow Agency, Montana, 2008. Oregon Trail Marker, Ranchester, Wyoming, 2011. Stanley Bear Paw, Cherokee, Plains Indian Museum Powwow, Cody, Wyoming, 2008. Jerome Lujan, Pueblo, Taos Pueblo, Taos, New Mexico, 2013. Rosalia Bad Horse, Northern Cheyenne, Little Bighorn Battlefield Anniversary, Montana, 2011. Closed Hand Cheyenne Marker, Little Bighorn Battlefield, Crow Agency, Montana, 2010. Clinton Murphy, Navajo, Gallup Inter-Tribal Indian Ceremonial Powwow, New Mexico, 2013. Spirit Horse, Canyon de Chelly, Chinle, Arizona, 2013. San Geronimo Chapel, Taos, New Mexico, 2013. Harrison Paul, Navajo, Gallup Inter-Tribal Indian Ceremonial, New Mexico, 2013. Cheyenne Chief Two Moons Grave & Monument, Busby, Montana, 2008. Enlistedmen’s Monument Sunset, Little Bighorn Battlefield, Crow Agency, Montana, 2009. Bustle. Plains Indian Museum Powwow, Cody, Wyoming, 2008. Spirit Warriors Sunset, Little Bighorn Battlefield, Crow Agency, Montana, 2010. Northern Cheyenne Relay Victory Run, Little Bighorn Battlefield Anniversary, Montana, 2011. Seymour Eagle-Speaker, Blood-Blackfoot, Plains Indian Museum Powwow, Cody, Wyoming, 2008. Wyatt Eagle Speaker, Blood-Blackfoot, Plains Indian Museum Powwow, Cody, Wyoming, 2008. Mike Ponyah, Navajo-Hopi, Rosebud Casino Powwow, South Dakota, 2011. William Spotted Tail, Brule-Lakota, Rosebud Casino Powwow, South Dakota, 2011. Patti Douville, Oglala-Lakota, Crazy Horse Memorial, Black Hills, South Dakota, 2011. Bustle, Rosebud Casino Powwow, South Dakota, 2011. Chadwick Red Elk, Shoshone, Plains Indian Museum Powwow, Cody, Wyoming, 2011. Corey Reeder, Kiowa, Plains Indian Museum Powwow, Cody, Wyoming, 2011. Black White Man’s Lakota Marker, Little Bighorn Battlefield, Crow Agency, Montana, 2008. Spirit Warriors Sunset, Indian Memorial, Little Bighorn Battlefield, Crow Agency, Montana, 2010. Wounded Knee Massacre Site Monument, Pine Ridge, South Dakota, 2011. Camille Ponyah, Oglala-Lakota-Navajo-Hopi, Rosebud Casino Powwow, South Dakota, 2011. Isaiah Bob, Navajo, Crow Fair, Crow Agency, Montana, 2010. Crazy Horse Memorial, Black Hills, South Dakota, 2011. Medicine Tail Coulee, Little Bighorn Battlefield, Crow Agency, Montana, 2011. Hunter Blassingame, Northern Cheyenne, Lame Deer, Montana, 2011. Reynolds-Two Moons Battlefield, Powder River, Montana, 2008. Sand Creek Massacre Site Monument, Colorado, 2013. Ellena Morgan-Doxtator, Darlene & Tanisha Beetso, Gallup Inter-Tribal Indian Ceremonial, 2013. Little Bighorn Battlefield National Cemetery, Crow Agency, Montana, 2010. Jewell Medicine Horse, Crow, Crow Fair, Crow Agency, Montana, 2009. Prairie Rose Jack’s Regalia, Navajo, Gallup Inter-Tribal Indian Ceremonial, New Mexico, 2013. Twisted Tree, Buffalo Jump, Rosebud Battlefield, Montana, 2008. Sand Creek Massacre Site Descriptive Marker, Colorado, 2013. Andrew Hogarth and Joe Medicine Crow, Crow Fair, Crow Agency, Montana, 2010. Andrew Hogarth, Little Bighorn Battlefield, Crow Agency, Montana, 2011. Andrew Hogarth, Fetterman Battlefield Monument, Wyoming, 2011. Andrew Hogarth, Bear Butte Mountain, South Dakota, 2011. Andrew Hogarth, Crazy Horse Memorial, Black Hills, South Dakota, 2011. Andrew Hogarth, Chaco Canyon, New Mexico, 2013. Andrew Hogarth, Monument Valley, Utah, 2013. Andrew Hogarth, Canyon de Chelly, Chinle, Arizona, 2013. 1. The Alamo Chapel, San Antonio, Texas, 1981. 2. Fort Bridger, Wyoming, 1984. 3. Sand Creek, Colorado, 1984. 4. Jack Little, Oglala-Brule-Lakota, Custer, South Dakota, 1984. 5. Leo Little, Oglala-Brule-Lakota, Custer, South Dakota, 1984. 6. Bear Butte Mountain, South Dakota, 1984. 7. Fort Phil Kearny, Wyoming, 1984. 8. Dull Knife Battlefield, Red Fork, Wyoming, 1984. 9. Bluewater Creek Battlefield, Nebraska, 1984. 10. Fort Kearny, Wyoming, 1985. 11. Fetterman Battlefield, Wyoming, 1985. 12. Rosebud Battlefield, Montana, 1985. 13. Fern Spotted Elk, Cheyenne, Crow Agency, Montana, 1985. 14. Paha Ska, Oglala-Lakota, Keystone, South Dakota, 1987. 15. Taos Pueblo, Taos, New Mexico, 1987. 16. Tiwa Elder, Taos Pueblo, New Mexico, 1987. 17. Mount Rushmore, Black Hills, South Dakota, 1987. 18. Little Bighorn Sunrise, Crow Agency, Montana, 1987. 19. Last Stand Hill, Little Bighorn Battlefield, Montana, 1987. 20. Fort Keogh, Miles City, Montana, 1987. 21. Frank Fools Crow, Oglala-Lakota, Cedar Lodge, South Dakota, 1989. 22. Bill Tallbull, Cheyenne, Lame Deer, Montana, 1989. 23. Pecos National Monument, New Mexico, 1990. 24. Quanah Parker’s Home, Cache, Oklahoma, 1990. 25. Sappa Creek, Rawlins County, Kansas, 1990. 26. Kai Lamar, Zuni, Zuni Pueblo, New Mexico, 1992. 27. Acoma, New Mexico, 1992. 28. Diane Chino, Pueblo, Acoma, New Mexico, 1992. 29. Loretto Chapel, Santa Fe, New Mexico, 1992. 30. The Badlands, South Dakota, 1992. 31. Sedona Bronze, Arizona, 1995. 32. The Rocky Mountains, Colorado, 1995. 33. Bent’s Fort, Colorado, 1995. 34. Lightning Creek Lakota Shirt, Douglas, Wyoming, 1995. 35. Fort Caspar, Wyoming, 1995. 36. Sacajawea’s Gravesite, Fort Washakie, Wyoming, 1995. 37. Crazy Horse Memorial, Black Hills, South Dakota, 1995. 38. Lighting Creek Burial Tree, Converse County, Wyoming, 1995. 39. Fort Laramie, Wyoming, 1995. 40. Holy Rosary Cemetery, Pine Ridge, South Dakota, 1995. 41. Wounded Knee, Pine Ridge, South Dakota, 1995. 42. Paha Sapa Sunset, Black Hills, South Dakota, 1995. 43. Deer Medicine Rocks, Montana, 1995. 44. Mandan Indian Village, Fort Lincoln, North Dakota, 1995. 45. Fort Abraham Lincoln, North Dakota, 1995. 46. Sitting Bull’s Original Grave, Fort Yates, North Dakota, 1995. 47. Sitting Bull’s Grave & Monument, Mobridge, South Dakota, 1995. 48. Greasy Grass Sunset, Little Bighorn, Montana, 1995. 49. Tim Real Bird, Crow, Crow Fair, Montana, 1995. 50. Lawrance Archie, Crow, Crow Fair, Montana, 1995. 51. Roy Pete, Navajo, Crow Fair, Montana, 1995. 52. Raymond Cree, Yakima-Umatilla-Cree, Crow Fair, Montana, 1995. 53. Harvey Spoonhunter, Arapaho, Cody, Wyoming, 1996. 54. Darrell Lone Bear, Arapaho, Cody, Wyoming, 1996. 55. Fabian Fontenelle, Zuni, Cody, Wyoming, 1996. 56. Roy Pete, Navajo, Cody, Wyoming, 1996. 57. Tim Yellowtail, Crow, Cody, Wyoming, 1996. 58. John Tail, Oglala-Lakota, Rapid City, South Dakota, 1996. 59. Wanbli Powwow, Pine Ridge, South Dakota, 1996. 60. Adam Nordwall, Shoshone-Chippewa-Navajo, South Dakota, 1996. 61. Sallie Black Eyes, Oglala-Lakota, Bear Creek, South Dakota, 1996. 62. Bear Creek Powwow, Martin, South Dakota, 1996. 63. Harvey Spoonhunter, Arapaho, Black Hills, South Dakota, 1996. 64. Tony Rider, Gros Ventre, Crow Fair, Montana, 1996. 65. Jay Eagle, Hunkpapa-Lakota, Crow Fair, Montana, 1996. 66. Timothy Eashappies, Assiniboin-Lakota, Crow Fair, Montana., 1996. 67. Nathan Blindman, Minniconjou-Oglala-Lakota, South Dakota. 1996. 68. Las Trampas, New Mexico, 1996. 69. Chaco Canyon, New Mexico, 1996. 70. Danny Reyes, Cheyenne, Colony, Oklahoma, 1996. 71. Fort Bridger, Wyoming, 1999. 72. The Warning, Fort Bridger, Wyoming, 1999. 73. The Grand Tetons, Wyoming, 1999. 74. Old Trail Town, Cody, Wyoming, 1999. 75. The Fetterman Battlefield Monument, Wyoming, 1999. 76. Buffalo Skulls, Little Bighorn, Montana, 1999. 77. Newton Old Crow, Crow, Crow Fair, Montana, 1999. 78. Bustle, Crow Fair, Montana, 1999. 79. Larry Green, Nez Perce, Crow Fair, Montana, 1999. 80. Nakita Williamson, Nez Perce, Crow Fair, Montana, 1999. 81. Joaquin Chavis, Crow-Hispanic, Crow Fair, Montana, 1999. 82. Jondella Chavis, Crow, Crow Fair, Montana, 1999. 83. Mary Cummins Bear-Cloud, Crow, Crow Fair, Montana, 1999. 84. Crow Fair Parade, Crow Agency, Montana, 1999. 85. The Greasy Grass, Little Bighorn, Montana, 1999. 86. Francis & Cerise Stewart, Crow , Crow Fair, Montana, 1999. 87. Daniel Long Soldier, Oglala-Lakota, Little Bighorn, Montana, 1999. 88. James Hill, Crow, Hardin, Montana, 1999. 89. Merle Jean Harris, Crow, Little Bighorn, Montana, 1999. 90. Little Wolf’s Grave, Lame Deer Cemetery, Montana, 1999. 91. Deer Medicine Rocks, Montana, 1999. 92. Log Cabin, Miles City, Montana, 1999. 93. Mandan Indian Village, Fort Lincoln, North Dakota, 1999. 94. Juanita Maxon, Mandan, Fort Lincoln, North Dakota, 1999. 95. Sitting Bull’s Grave, Mobridge, South Dakota, 1999. 96. Whitestone Hill Battlefield, North Dakota, 1999. 97. Stephanie Buckley, Hunkpapa-Lakota, South Dakota, 1999. 98. Cheyenne River Highway, South Dakota, 1999. 99. Fort Laramie, Wyoming, 1999. 100. Crazy Horse Monument, Fort Robinson, Nebraska, 1999. 101. Fort Robinson Officers Quarters, Nebraska, 1999. 102. Bordeaux Trading Post, Nebraska, 1999. 103. Caroline Sandoz Pifer, Sand Hills, Nebraska, 1999. 104. Tony Richards, Oglala-Lakota, Custer, South Dakota, 1999. 105. Frank Fools Crow Monument, Bear Butte, South Dakota, 1999. 106. Yellowstone Lake Sunset, Wyoming, 1999. 107. Heywood Big Day, Crow, Pryor, Montana, 1999. 108. San Francisco, California, 2006. 110. Fort Bridger, Wyoming, 2006. 111. Big Piney, Wyoming, 2006. 112. Larry Flanagan, Jackson, Wyoming, 2006. 113. Lyle Buch, Jackson, Wyoming, 2006. 114. The Grand Tetons, Wyoming, 2006. 116. Zene Kempf, Jackson, Wyoming, 2006. 117. Dan Davis, Jackson, Wyoming, 2006. 118. Yellowstone National Park, Wyoming, 2006. 120. Tim Watts, Shoshone, Cody, Wyoming, 2006. 121. Old Trail Town, Cody, Wyoming, 2006. 122. Greg Koschtial, Cody, Wyoming, 2006. 123. Sibley Lake, Big Horn Mountains, Wyoming, 2006. 124. Randall Weeks, Crow Fair, Montana, 2006. 125. Little Bighorn Battlefield, Montana, 2006. 126. Mike Shane, Crow, Crow Fair, Montana, 2006. 127. Barry Bad Bear, Crow, Crow Fair, Montana, 2006. 128. Sun Sun Lehi, Crow, Crow Fair, Montana, 2006. 129. Virgil Sun Rhodes, Arapaho, Crow Fair, Montana, 2006. 130. Jill Thomson, Little Bighorn, Montana, 2006. 131. Joe Medicine Crow, Crow, Little Bighorn, Montana, 2006. 132. Huey Lewis, Little Bighorn, Montana, 2006. 133. Steven, Diane and Bailey Bruised Head, Little Bighorn, Montana, 2006. 134. Connors Battlefield, Ranchester, Wyoming, 2006. 135. Tim Manygoats, Navajo, Crow Fair, Montana, 2006. 136. James Birdinground, Crow, Crow Fair, Montana, 2006. 137. Crow Fair, Crow Agency, Montana, 2006. 138. Winona Monroe, Navajo, Crow Fair, Montana, 2006. 139. David A. Miller, Little Bighorn, Montana, 2006. 140. Phillip Paul, Flathead, Crow Fair, Montana, 2006. 141. Tommy Christian, Hunkpapa-Lakota, Crow Fair, Montana, 2006. 142. Putt Thomson, Little Bighorn, Montana, 2006. 143. Custer Battlefield Trading Post, Crow Agency, Montana, 2006. 144. The Fetterman Battlefield, Wyoming, 2006. 145. Fort Phil Kearny, Wyoming, 2006. 146. Devils Tower, Wyoming, 2006. 147. Peter DeConinck, Devils Tower, 2006. 148. Bear Butte, South Dakota, 2006. 149. Sonja Holy Eagle, Minniconjou-Lakota, Rapid City, South Dakota, 2006. 150. Bill Groethe, Rapid City, South Dakota, 2006. 151. Nellie Cuny, Oglala-Lakota, Cuny Table, South Dakota, 2006. 152. Corbin Conroy, Oglala-Lakota, Cuny Table, South Dakota, 2006. 153. The Stronghold, Cuny Table, Pine Ridge, South Dakota, 2006. 154. Wounded Knee, Pine Ridge, South Dakota, 2006. 155. Corbin Conroy, Oglala-Lakota, Custer, South Dakota, 2006. 156. John Rolands, Custer, South Dakota, 2006. 157. Crazy Horse Memorial, Black Hills, South Dakota, 2006. 158. Chuck Cochran, Crazy Horse Memorial, South Dakota, 2006. 159. Custer County Museum, Custer, South Dakota, 2006. 160. Black Hills, South Dakota, 2006. 161. Fort Robinson, Nebraska, 2006. 162. Colorado Visitors Centre, Fort Collins, Colorado, 2006. 163. Buffalo Bill’s Grave, The Rocky Mountains, 2006. 164. The Rocky Mountains, Colorado, 2006. 165. Grand Junction, Colorado, 2006. 166. Twin Rock, Bluff, Utah, 2006. 167. Priscilla Sagg, Navajo, Twin Rock, Bluff, Utah, 2006. 168. Monument Valley, Utah, 2006. 169. Lucy Fatt, Navajo, Monument Valley, Utah, 2006. 170. Esther E. Williams, Navajo, Monument Valley, Utah, 2006. 171. McKinlena Smallcanyon, Navajo, Monument Valley, Utah, 2006. 172. Gloria Black, Navajo, Monument Valley, Utah, 2006. 173. Rosie Fatt, Navajo, Monument Valley, Utah, 2006. 174. Canyon de Chelly, Arizona, 2006. 175. Canyon Del Muerto, Arizona, 2006. 176. Oscar Bio, Navajo, Chinle, Arizona, 2006. 177. 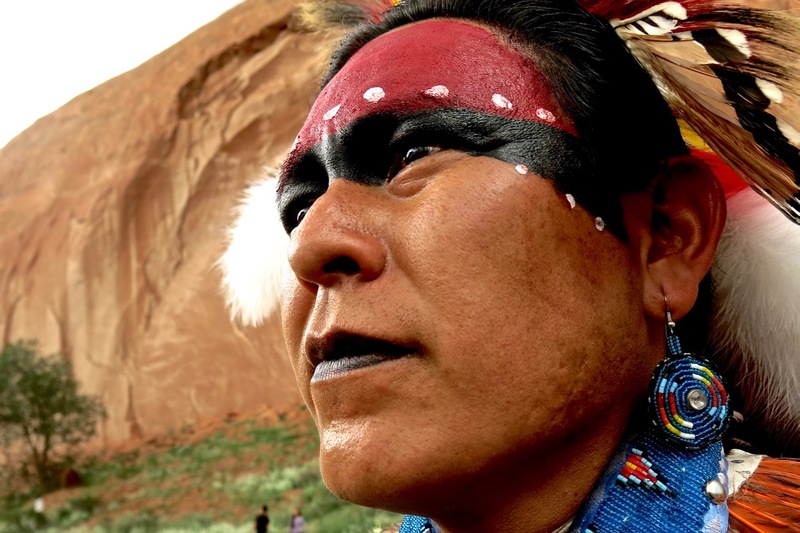 Douglas Yazzie, Navajo, Canyon de Chelly, Arizona, 2006. 178. Jocelyn Billy, Navajo, Chinle, Arizona, 2006. 179. Albertina Hood, Navajo, Chinle, Arizona, 2006. 180. Cina Bena, Navajo, Chinle, Arizona, 2006. 181. Merlin Yazzie, Navajo, Canyon de Chelly, Arizona, 2006. 182. Travis Terry, Pima, Canyon de Chelly, Arizona, 2006. 183. Hubbell Trading Post, Ganada, Arizona, 2006. 184. The Grand Canyon, Arizona, 2006. 185. Dan Garland and Steve Mattoon, Sedona, Arizona, 2006. 186. Death Valley, California, 2006. 187. Yosemite National Park, California, 2006. 188. Narrow Gauge, California, 2006. 189. Indian Trader, Jackson, Wyoming, 2008. 190. Yellowstone National Park, Wyoming, 2008. 191. Big Horn Mountains, Wyoming, 2008. 192. Buffalo Skulls, Crow Agency, Montana, 2008. 193. Dion Medicine Horse Family, Crow Agency, Montana, 2008. 194. Don Nomee, Crow, Crow Agency, Montana, 2008. 195. Jack Old Horn, Crow, Crow Agency, Montana, 2008. 196. Buffalo Jump, Rosebud Battlefield, Montana, 2008. 197. Deer Medicine Rocks, Montana, 2008. 198. Reynolds-Two Moons Battle, Powder River, Montana, 2008. 199. Devils Tower, Wyoming, 2008. 200. Crazy Horse Memorial, Black Hills, South Dakota, 2008. 201. Tia Trujillo, Brule-Lakota, Crazy Horse Memorial, S. D, 2008. 202. Aloysius George Eagleman, Brule-Lakota, South Dakota, 2008. 203. Perry J. Poitra, Ojibway, Crazy Horse Memorial, S. D, 2008. 204. Chuck Cochran & Bill Groethe, Rapid City, South Dakota, 2008. 205. Grattan Massacre Site, Wyoming, 2008. 206. Fort Laramie, Wyoming, 2008. 207. Buffalo Bill Powwow, Cody, Wyoming, 2008. 208. Cedric Shakespeare, Northern Arapaho, Cody, Wyoming, 2008. 209. Richard Shakespeare, Northern Arapaho, Cody, Wyoming, 2008. 210. Ron Howard, Northern Arapaho, Cody, Wyoming, 2008. 211. Jerry Hedley, Northern Arapaho, Cody, Wyoming, 2008. 212. Ramon Barton, Gros Ventre, Cody, Wyoming, 2008. 213. Jack Barton, Gros Ventre, Cody, Wyoming, 2008. 214. Walter Old Elk, Crow, Cody, Wyoming, 2008. 215. Stanley Bear Paw, Cherokee, Cody, Wyoming, 2008. 216. Logan Reeder, Kiowa, Cody, Wyoming, 2008. 217. Jalen Abeyta, Shoshone, Cody, Wyoming, 2008. 218. Orlando Dugi, Navajo, Cody, Wyoming, 2008. 219. Ben Shoulder Blade, Northern Cheyenne, Cody, Wyoming, 2008. 220. Bustle, Buffalo Bill Powwow, Cody, Wyoming, 2008. 221. 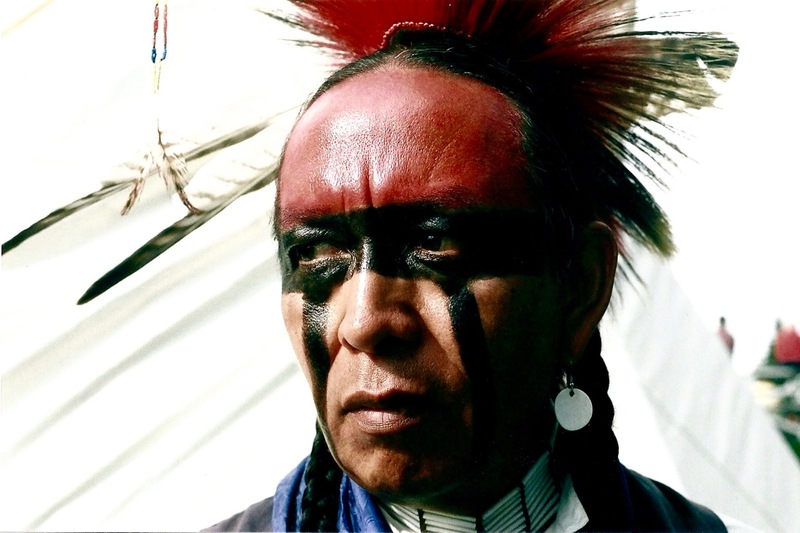 Wyatt Eagle Speaker, Blood-Shoshone, Cody, Wyoming, 2008. 222. Lily Eagle Speaker, Blood-Shoshone, Cody, Wyoming, 2008. 223. Seymour Eagle Speaker, Blood-Shoshone, Cody, Wyoming, 2008. 224. Heaven Old Coyote, Crow-Arapaho, Cody, Wyoming, 2008. 225. Pearl Sammarifa, Nez Perce-Yakima, Cody, Wyoming, 2008. 226. Jayce Old Coyote, Crow-Arapaho, Cody, Wyoming, 2008. 227. Tia Hoops and Mikala Sun Rhodes, Cody, Wyoming, 2008. 228. Fred Alden, Crow, Cody, Wyoming, 2008. 229. Sun Sun Lehi, Crow, Cody, Wyoming, 2008. 230. Victor Singer, Crow, Cody, Wyoming, 2008. 231. Waycie Roundstone, Northern Cheyenne, Cody, Wyoming, 2008. 232. Elmer Blackbird, Assiniboine, Cody, Wyoming, 2008. 233. Greg Koschtial, Cody, Wyoming, 2008. 234. Jolene Walks Last, Northern Cheyenne, Little Bighorn, Montana, 2008. 235. Joanne Rock Above & Putt Thompson, Crow Agency, Montana, 2008. 236. Gerald Kane, Paiute, Little Bighorn, Montana, 2008. 237. Richard Arnold, Paiute, Little Bighorn, Montana, 2008. 238. Little Bighorn Battlefield, Montana, 2008. 239. Big Hole Battlefield, Big Hole, Montana, 2008. 240. Alcatraz Prison, California, 2009. 241. Mammoth Hot Springs, Yellowstone N.P, Wyoming, 2009. 242. Yellowstone National Park, Wyoming, 2009. 243. Bear Tooth Mountains, Wyoming, 2009. 244. Crow Fair, Crow Agency, Montana, 2009. 245. Handsome Birdinground, Crow, Crow Fair, Montana, 2009. 246. Scott Benson, Oglala-Lakota, Crow Fair, Montana, 2009. 247. Joe Medicine, Crow, Crow, Crow Fair, Montana, 2009. 248. Virgil Sun Rhodes, Arapaho, Crow Fair, Montana, 2009. 249. Tim Manygoats, Navajo, Crow Fair, Montana, 2009. 250. Fred Morgan, Eastern Shoshone-Navajo, Crow Fair, Montana, 2009. 251. Garry Tail Feathers, Blood-Blackfoot, Crow Fair, Montana, 2009. 253. Tylis Bad Bear, Crow, Crow Fair, Montana, 2009. 254. Morgan King, Cheyenne-Assiniboine, Crow Fair, Montana, 2009. 255. Hahots Shebala, Nez Perce, Crow Fair, Montana, 2009. 256. Dan Nanamkin, Nez Perce, Crow Fair, Montana, 2009. 257. Jewell Medicine Horse, Crow, Crow Fair, Montana, 2009. 258. Christine Williams, Crow, Crow Fair, Montana, 2009. 259. Sun Sun Lehi, Crow, Crow Fair, Montana, 2009. 260. Alvin Yellow Owl, Blackfeet, Crow Fair, Montana, 2009. 261. Norman Gardipy, Plains Cree, Crow Fair, Montana, 2009. 262. Pompeys Pillar, Montana, 2009. 263. Yellowstone River, Pompeys Pillar, Montana, 2009. 264. Little Bighorn Battlefield, Montana, 2009. 265. Carmel Mission, Carmel, California, 2009. 266. Castillo de San Marcos, St. Augustine, Florida, 2010. 267. Fort Reno-Darlington Agency, Canadian River, Oklahoma, 2010. 268. Washita River Battlefield, Rodger Mills County, Oklahoma, 2010. 269. Sappa Creek, Rawlins County, Kansas, 2010. 270. Cheyenne Dog Soldiers Encampment, Cherry Creek, Kansas, 2010. 271. Beechers Island Battlefield, Yuma County, Colorado, 2010. 272. Summit Springs Battlefield, Logan County, Colorado, 2010. 273. Little Bighorn Battlefield, Crow Agency, Montana, 2010. 274. 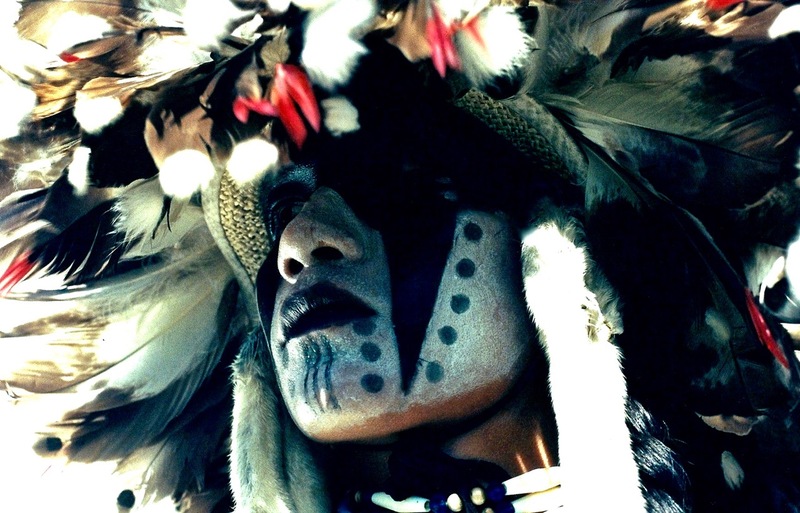 Aiden Ponyah, Oglala-Lakota-Navajo-Hopi, Crow Fair, Montana, 2010. 275. Grace Ponyah, Oglala-Lakota-Navajo-Hopi, Crow Fair, Montana, 2010. 276. Cyrus Leider Sr, Crow, Crow Fair, Montana, 2010. 277. Cleveland Leider, Crow, Crow Fair, Montana, 2010. 278. David Cleveland, Ho-Chunk, Crow Fair, Montana, 2010. 279. Phillip Paul, Flathead, Crow Fair, Montana, 2010. 280. 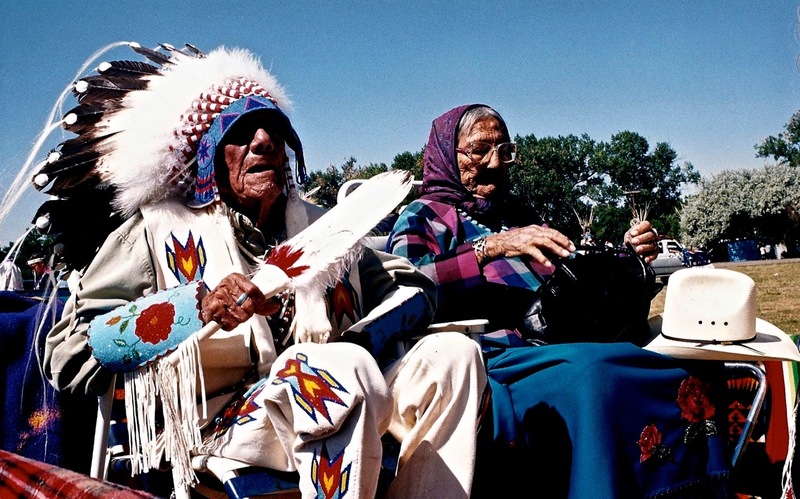 Kallie Soldier Wolf & Camille Ponyah, Cheyenne-Lakota, Crow Fair, MT, 2010. 281. Lanedon Bob, Navajo, Crow Fair, Montana, 2010. 282. Vikki Bob, Navajo, Crow Fair, Montana, 2010. 283. Isaiah Bob, Navajo, Crow Fair, Montana, 2010. 284. Matthew Sheka Sr, Ho-Chunk, Crow Fair, Montana, 2010. 285. Gilly Alook, Cree, Custer Battlefield Trading Post, Crow Agency, Montana, 2010. 286. Connor’s Battlefield, Ranchester, Wyoming, 2011. 287. Percy War Cloud Edwards, Colville Confederated Tribes, Cody, Wyoming, 2011. 288. Old Trail Town, Cody, Wyoming, 2011. 289. Pius Real Bird, Crow, Custer Battlefield Trading Post, Crow Agency, MT, 2011. 290. Little Bighorn River, Little Bighorn Battlefield, Montana, 2011. 291. Rosalia Bad Horse, Northern Cheyenne, Little Bighorn, Montana, 2011. 292. Jonathan Maxwell Beartusk, Northern Cheyenne, Little Bighorn, Montana, 2011. 293. Wagon Box Fight Monument, Wyoming, 2011. 294. Fort Phil Kearny, Wyoming, 2011. 295. Crazy Horse Memorial, Black Hills, South Dakota, 2011. 296. Patti Douville, Oglala-Lakota, Crazy Horse Memorial, Black Hills, S. D, 2011. 297. William Spotted Tail, Brule-Lakota, Rosebud, South Dakota, 2011. 298. Gilbert Emery Brown, Meskwaki, Rosebud, South Dakota, 2011. 299. Alorha Baga, Brule-Lakota-Southern Ute-Apache, Rosebud, S. D, 2011. 300. Mike Ponyah, Navajo-Hopi, Rosebud, South Dakota, 2011. 301. P-Nutt Ponyah, Oglala-Lakota-Navajo-Hopi, Rosebud, South Dakota, 2011. 302. Aiden Ponyah, Oglala-Lakota-Navajo-Hopi, Rosebud, South Dakota, 2011. 303. Evan Ponyah, Oglala-Lakota-Navajo-Hopi, Rosebud, South Dakota, 2011. 304. Grace Ponyah, Oglala-Lakota-Navajo-Hopi, Rosebud, South Dakota, 2011. 305. Patrick Hill, Crow, Custer Battlefield Trading Post, Crow Agency, Montana, 2011. 306. Hunter Blassingame, Northern Cheyenne, Lame Deer, Montana, 2011. 307. Camille Ponyah, Oglala-Lakota-Navajo-Hopi, Lame Deer, Montana, 2011. 308. Kelly Ponyah, Oglala-Lakota-Navajo-Hopi, Lame Deer, Montana, 2011.